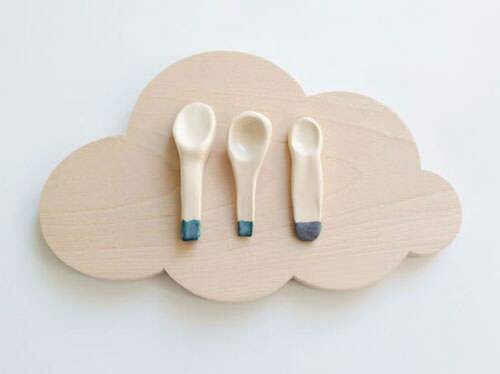 Beautiful ceramic spoons and cloud platter by French designer Caroline Gomez. 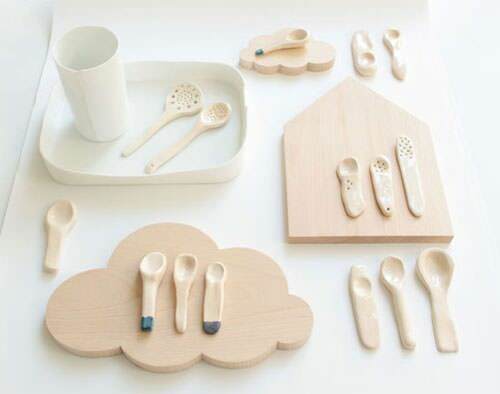 Liked these spoons! Looking very light in weight and color is so cool! These are little works of art.